The Rev. 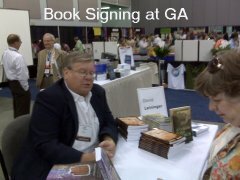 Dr. David Eugene Leininger - Dad - is a child of the Presbyterian manse, the son of the late Rev. Milton N. Leininger and wife Rosalind. He was born in Atlantic City, New Jersey in October, 1944 where his father served the Chelsea Presbyterian Church for seven years. The family moved to Baltimore, Maryland upon the elder Leininger's call to the Abbott Memorial Presbyterian Church, a pulpit he served for the last 28 years of his life. David was educated in the Baltimore City Public Schools and was awarded a BA in Humanities from Thomas Edison State College in Trenton, NJ. His professional degrees include the Master of Divinity from the Lutheran Theological Southern Seminary in Columbia, SC (1984), and the Doctor of Ministry from Erskine Theological Seminary in Due West, SC (1987). A successful career in Radio and Television preceded his answering the call to ministry. He worked for stations in Baltimore and Washington before moving to Hilton Head Island, SC in 1973 to establish a new station there. Seminary beckoned in 1981 along with a concurrent call to serve the congregation of the Liberty Hill Presbyterian Church in a tiny community about an hour north of the seminary in Columbia where he and his young family remained until graduation and a call to the Oakdale Presbyterian Church in Clover, SC. David has since served congregations in Florida, Georgia, North Carolina, and Pennsylvania. He officially retired from active ministry in the Presbyterian Church (USA) effective October 31, 2008. David is the author of a number of published articles and sermons and his work regularly appears on internet preaching sites such as Sermonwriter.com, Lectionary.org, SermonSuite, eSermons.com, etc. He is also the author of six books, A Colorblind Church, the story of the intriguing events that unfolded in the lives of two small congregations - one black, one white - in Liberty Hill following the reunion of the northern and southern streams of the Presbyterian Church in 1983. God of Justice: a look at the Ten Commandments in the 21st Century grew out of a sermon series preached in Warren. As We Believe, So We Behave: The Apostles' Creed and the Christian Life is another book that was inspired by a sermon series there. Lectionary Tales for the Pulpit is a three-volume preaching resource that is primarily for those who preach from week to week. All the books are published by CSS Publishing of Lima, OH. Since the beginning of his ministry, David has been active in the affairs of the larger church. He has chaired the Council of Presbytery, served on the Committee on Ministry plus being a member or chair of a number of other Presbytery and Synod committees. In 1987 he was a Commissioner to General Assembly where he was instrumental in drafting a widely-heralded study paper on "A Theological Understanding of the Relationship Between Christians and Jews." He has also been active in community affairs - he is past president of the Warren Area Ministerial Association, past president of the Warren Rotary Club, and a board member of the Warren-Forest Economic Opportunity Council, the local community action agency. On Hilton Head Island, David has experienced an unexpected demand for his pastoral services as an officiant for many destination weddings and has enjoyed getting to meet folks from all over the country as a result. He is President of the Sea Pines Men's Club and participates in the weekly breakfast gatherings, a monthly history book club plus various other events and activities through the year. His church involvement is with the St. Andrew by the Sea United Methodist Church where he was the regular soloist and liturgist prior to going to seminary and where a good friend and seminary classmate serves as pastor. He teaches occasional short-term studies and fills the pulpit when asked. David can be reached by e-mail at david@leiningers.com. Christie Alison Eaton Leininger - Mom - was born on Glen Cove, Long Island to Peggy and Fred Eaton, the second of five children (all the rest boys). Most of her growing-up years were spent in Caracas, Venezuela where her father was sent to be the President of the Sears-Roebuck operations in that country. For a time during high school she sojourned at the Northfield School in Massachusetts but the winter weather and family separation proved to be more than she chose to bear, so she returned to Caracas and the Colegio Americano. Her college years were spent in Atlanta where she graduated from Emory University with a degree in Economics. Following a brief time in the business world, she returned to academia for a Master's degree in Professional Accountancy from Georgia State University. Upon graduation, she joined US Agri-chemical, a division of US Steel, to put her accounting skill to good use, but other events would soon intervene. Following her parents' retirement to Hilton Head Island in 1977, Christie came to visit from her home in Wilmington, NC. She came to church with them on Sunday and saw, for the first time, the man who would become her husband. At Christmastime that year, her folks hosted a Christmas party in their home, continuing a family tradition in retirement that had begun years before. David was invited, the two struck up a conversation, and the rest, as they say, is history. Quick history, as it turns out. They became engaged on January 4, 1979 and were married on April 29. Less than a year later, David broached the subject of a career change. It came as something of a shock, but since both were very active in the church, it was soon overcome and plans began to pursue seminary. It would take two more years for that to come to fruition during which time Christie put her accounting skills to good use for several island companies. In addition, the family expanded a bit with the arrival of young David in 1980. Since the beginning, Christie has been active in all our churches. She is an ordained elder and has served, not only in the local congregation but in the wider church as well. She has been very active in worldwide ministries leading mission teams to Taiwan as well as to Mexico, Guatemala, Honduras, perfect opportunities for her to make use of her fluency in Spanish. 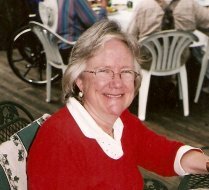 She chaired the Mission Committee of Salem Presbytery during the family's time in Greensboro; she has served on the Mission & Stewardship Committee of Lake Erie Presbytery and was involved in the Presbytery's partnership with the Presbyterian Church in Venezuela. Most recently at First Church, Warren, she served on the Mission Committee, sang in the choir, and played handbells. 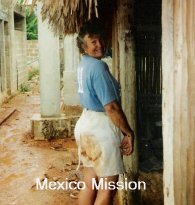 She led FPC's 2002 and 2004 Missions to Mexico, and Missions to the Mississippi and Florida Gulf Coasts in 2006 and 2007 plus 2008's Mission to Lithuania. In 2001, she led a small contingent to Caracas, Venezuela to visit with Lake Erie Presbytery's partner. After a week-plus of visiting with local congregations, the group was set to return to the states, was on the airport tarmac ready to take off, when the announcement was made that there would be a delay. The date was September 11, and, unbeknownst to the travelers, a horrific event had occurred in the United States. They remained in Venezuela for another five days, the first several paid for by the airlines, the last couple hosted by the Central Presbytery of Venezuela whose offices are located on the campus of Colegio Americano. Amazing! Now that we are back on Hilton Head Island, she has spent a great deal of time and energy in renovating the home we left in 1981 (rented out through all those years) getting it to some semblance of satisfactory for our return. She continues her accounting work as well. In addition, she is a member of the Hilton Head Choral Society as well as the Chancel Choir, Women's Ensemble and bell choir at St. Andrew by the Sea United Methodist Church. As might be expected, she is also a member of St. Andrew's Mission Committee. Christie can be reached via e-mail at christie@leiningers.com. David Eaton Leininger arrived six days earlier than had been originally anticipated in July, 1980 in Beaufort, SC (at the time, the Hilton Head hospital did not have an ob-gyn unit). He spent the first ten months of his life on Hilton Head Island but then was rudely uprooted as Dad and Mom packed up and headed for seminary. A year was spent in seminary housing in Columbia, but the Liberty Hill church purchased a manse for the pastor and family the following year, so the Leiningers relocated to that rural retreat where "LD" (as he would eventually become known - "Little David" - a moniker that has stuck with him even though he has been significantly taller than his father for years) enjoyed country life and began Montessori school. Kindergarten, etc. came once the family had moved to Clover with other schools following depending upon the locations of the churches his Dad was called to serve. Graduation would finally be from the Ragsdale High School in Jamestown, NC, a suburb of Greensboro where his father was serving the St. Paul church. During his growing up years he participated in all the normal activities of American youngsters - baseball, soccer, hockey, etc. He demonstrated wide interests in those formative years, traveling to Mexico on Mission Trips, even spending two weeks in France during his sophomore year in high school as part of a summer enrichment program. He has visited other parts of the world as he has grown older - England, Spain, Hungary, Italy, Germany, etc. As might be expected, he has also been active and involved in the church - as a teenager, he was elected a Youth Elder at St. Paul. 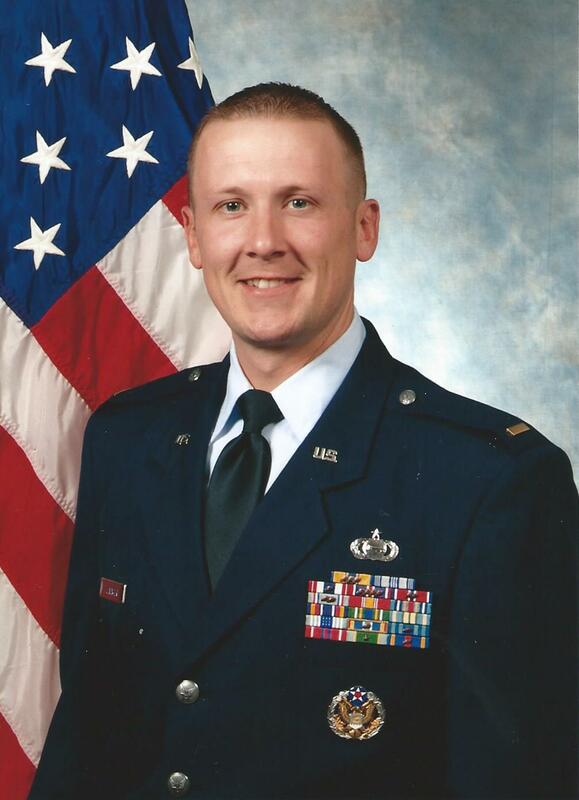 While at Ragsdale, Dave became involved in the Air Force Junior ROTC program and enjoyed that association for four years. 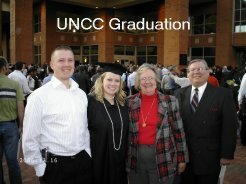 He did not pursue ROTC once he moved to the University of North Carolina at Charlotte, but it would prove to be invaluable to him as he began to contemplate his future. In 2003 he decided that a stint in the Air Force would help to give him focus and direction for the years to come. After Basic Training he was assigned to the Defense Language Institute in Monterey, CA where he soon volunteered for the base Honor Guard. His JROTC training came in handy and his skills were soon noted. He was transferred to Washington DC and became a member of the United States Air Force Honor Guard Drill Team which gave him the opportunity to travel widely to demonstrate close-order performance. The photo at left is of 2nd Lieutenant Leininger (he has since been promoted to 1st Lieutentant). He has an undergraduate degree with a BA with honors from American Military University. Dave is married to the former Jennifer Springs Perry, a native of Chapin, SC, political science graduate of the College of Charleston, and the mother of an energetic, inquisitive, exciting fifth-grader, Dalton Michael Perry. 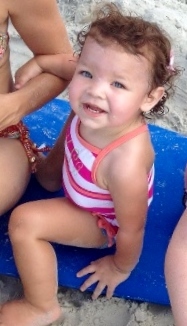 Jenny and Dave are the parents of the beautiful little lady to the right, photographed when the family came for a summer beach vacation to the island, Mary Grace Leininger. They make their home in Chapin, SC. LD can be reached via e-mail at dleiningr@hotmail.com. Erin Alison Leininger completed the family with her arrival in the spring of 1984 in Camden, SC, the nearest community to Liberty Hill with a hospital. While her brother was six days early, she was five days late. Inauspiciously, she came home the next day in the middle of a string of more than 70 tornados that ripped through the Carolinas and caused millions of dollars in damage. The normal drive of approximately 25 minutes extended to three-and-a-half hours as we dodged downed trees, power lines, flying debris, and quarter-size hail on the journey - it was an adventure, to say the least, and Erin slept through the whole thing. Good for her! Fortunately, that was the last major tempest we would experience with her. One week after her arrival, the family met the congregation of the Oakdale Presbyterian Church in Clover, SC for the first time and our move to that community came just two months later. The Oakdale congregation has always been warm and welcoming, so it is no surprise that, many years later, despite the fact that the family moved to Ft. Myers, FL when Erin was not quite four, they welcomed her back as an adult with hearts and arms wide open. Three-and-a-half years in Florida were followed by a year in Bainbridge, GA where her Dad was serving as Interim Pastor, then the move to Jamestown, NC, the bedroom suburb of Greensboro, following the call to the St. Paul church. Elementary school, Middle school, and the first two years of High School were spent there. The final two years were at the Warren Area High School in accordance with Dad's call to First Presbyterian. Relocation for 16-year-olds is a traumatic experience, but Erin decided that this would be viewed, not as an interruption to her life, simply as a new adventure, an attitude that was richly rewarded by an incredible number of new friendships and warm relationships that persist to this day. The maturity she displayed as a teenager has also persisted to this day. College decisions for high schoolers are normally made no later than the middle of the junior year, and since Erin had only been in Pennsylvania for a relatively short time at that point, she chose the University of North Carolina at Charlotte where her brother was attending. 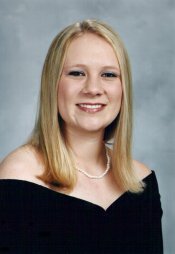 She began her matriculation with the intention of majoring in Math Education with an eye toward teaching mathematics at the High School level. As is often the case, she reassessed her interests mid-stream and changed her focus toward a dual major of Spanish and International Studies. By the time she made the switch, she already had enough Math credits to give her a minor in that subject to go along with the majors she had chosen. Erin's interest in Spanish and International Studies grew out of Mission Trips that began at age 12 accompanying her mother. She became particularly close to the family of the Rev. Saul Pulido Perez and his wife Doris in Jose Maria Morelos, Mexico. A number of visits with them have drawn her to think of them and their children as familia dos. The relationships she established in Mexico have also given her a special interest in the plight of immigrants to this country from south of the border. She had the opportunity for additional foreign travel prior to the completion of her college career. She did a semester abroad at the Universidad de Cantabria in Santander, Spain where she lived with a local family, took courses at the school, and enjoyed considerable additional travel around Europe during her sojourn. Erin is currently the Office Administrator for an exciting new Charlotte company, Payzer. She is married to Christopher Padgett, and they are Mommy and Daddy to their precious Lab-mix, Gracie. Erin can be reached via e-mail at ealpadgett@gmail.com.